The initial lameness exam of an unsound horse includes thorough palpation of joints for effusion and tendons for soreness and heat. 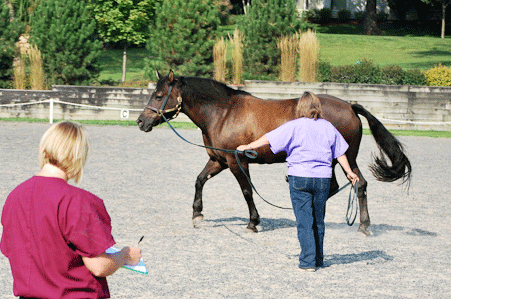 Examination of any muscle fasciculations and hoof testers are also used in the exam. The horses’ gaits are evaluated by watching the horse in hand, on a lunge line and under saddle. Flexion tests, peripheral nerve blocks and joint blocks are also used as needed to help pinpoint the source of the lameness.